The knives are out and cement shoes have been set, the public and the media are giddy with glee in crucifying Nick Kyrgios. Even the super brat himself John McEnroe showed his displeasure with the Kyrgios performance calling it a “black eye for the sport”. 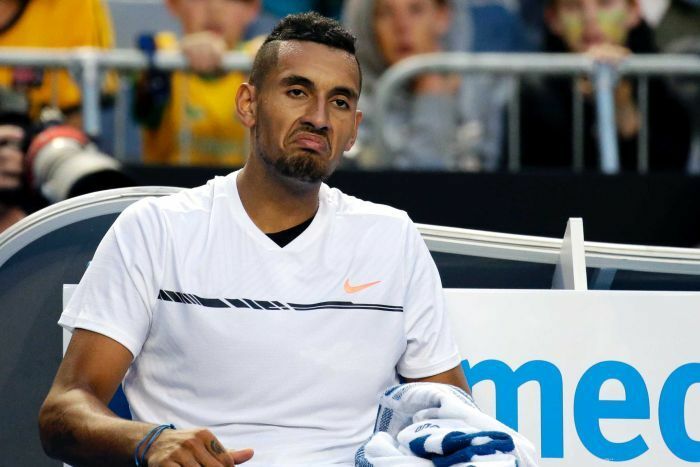 Following a 5 set loss after leading 2 sets to 1 over Italian Andreas Seppi in the 2nd round of the Australian Open, Kyrgios was booed off Hisense Arena for what many deemed a lack of effort In the Kyrgios press conference after the match asked whether he’s being treated too harshly by the media he confessed, “I deserve it, I’m a bad guy”. I bet I could call up any psychologist right now and ask them “What would you give to sit down for a session with Nick Kyrgios?”, they would all jump at it. He would be a fascinating case study, I wonder if there’s a bit of self-hatred and contradiction there. He laps up the attention then doesn’t want it, he’s calm on court then he explodes, he runs for everything on court, then he tanks some points, he’s either a man that can’t get out of his own way or just doesn’t care. 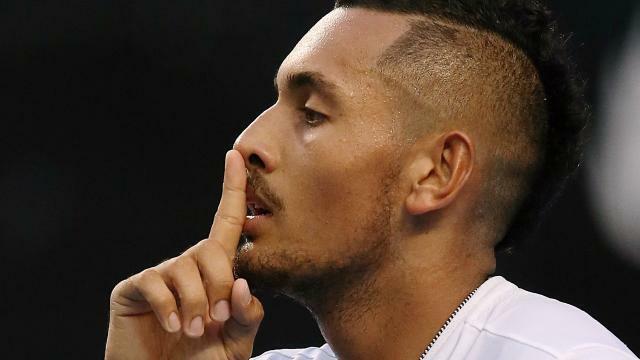 There’s only one way for Kyrgios to silence the critics, thats to win a Slam. 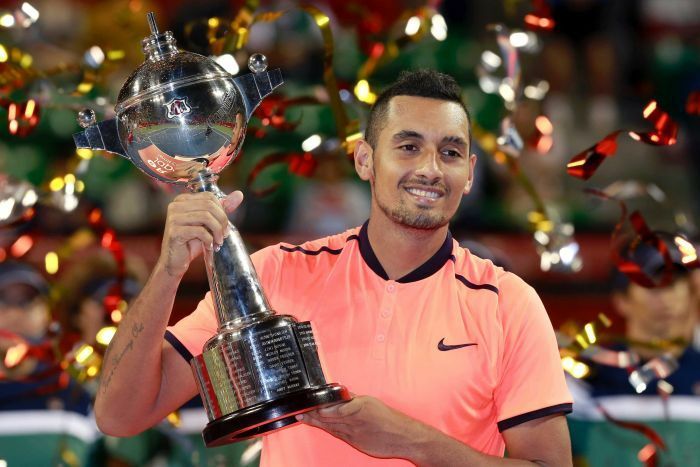 In this ‘Millennial’ age of twitter, tweeners and snapchat ‘I’ll do what I feel, not what’s expected’ Kyrgios is thriving, he’s young and built for this generation, anyone with a mortgage and a receding hairline harks back to the days of the ‘nice guy Rafter’ and the ‘street brawler Lleyton’ and anyone that gets into a half-price movie after a game of lawn bowls longs for the ‘gentlemanly behavior of Rod Laver or Ken Rosewall”. Through the generations the world has changed, so has the media, players and fans. There have always been players who you could term as ‘difficult’. Ilie Nastase, Jimmy Connors and of course Johnny Mac. You may not have liked them or cheered for them but there was the fascination of watching them because you knew it was good theatre, the can’t look away car crash waiting to happen. If you probably said to the Australian public how would you like our top player to act, I’m sure 99% would say Pat Rafter, but the tennis landscape isn’t built like that, just like in life its made up of various personalities and beliefs. Unless Kyrgrios quits the sport he is here to stay percolating amongst all the drama at least for the next 5 years. Right now he has two paths to choose from, he can get serious, get a coach who he actually listens to and can give him a framework from which to build something meaningful where he can legitimately compete for Grand Slams or he can continue on stumbling through a career of suspensions, tanking and winning minor events whenever he feels motivated. Andre Agassi turned his career around and finally fulfilled his glorious talent; does Kyrgios have the will to do the same? great write up – you hit it on the head – he is the one that has to decide how his career is going to pan out. If another Aussie wins a Slam before him, that could give him a jolt of ‘what the hell am I doing’! I’ve given up on Nick, and his partner in crime Bernard. Players like Ash Barty, Dasha thingymajig, Kokkinakis, Thompson and any others that aren’t suspended for betting (hopefully there are one or two others out there still allowed to play) are much easier to support. At least they give a hoot! Anyway, this week is all about Stan and Karolina. Hopefully! If I could jump in Doctor Who’s Tardis i’d bring back Laver, Rosewall and Newk. Great article. Like Andre Agassi he might like to have a girlfriend (wife) to calm him down and take his mind of tennis for awhile???? Well, Agassi had Brooke Shields an actress, so maybe Angelina Jolie and the six kids, yes that would give him some perspective.